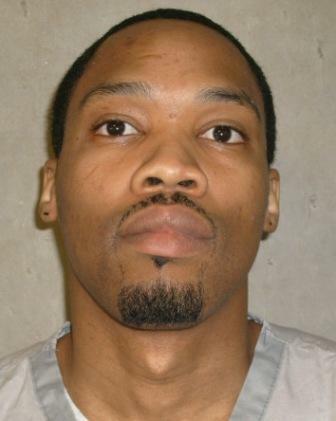 Charles Wright (pictured), a prisoner on Tennessee’s death row, may die of cancer before the October 10, 2019 execution date that the state has set for him. His attorneys and supporters, including a former U.S. Congressman, are seeking clemency so Wright can spend his final days with his family. Wright has prostate cancer that has spread to his bones, and was recently moved from Tennessee’s death-row facility to a prison infirmary. He is asking the governor to either reduce his sentence to time served or to life without parole, allowing him to apply for a medical furlough, a special release that can be granted to terminally ill prisoners, but not to those on death row. In September 2018, former Congressman Bob Clement wrote to then-Governor Bill Haslam, asking Haslam to grant clemency to Wright. “It is clear to me that Charles is not among the ‘worst of the worst’ for whom the ultimate punishment is to be reserved,” Clement wrote. “He was a product of his environment and the deprivation in which he — I will not say ‘was raised’ as the fact is, Charles and his siblings basically raised themselves. He turned to drugs early in his teenage years — he was fourteen or fifteen when an older drug dealer put a heroin needle in Charles’ arm. Charles does not absolve himself of his responsibility for making wrong choices.” Clement’s father, Frank Clement, served as governor of Tennessee in the 1960s, and commuted all the state’s death sentences in 1965, after the legislature defeated an abolition bill by one vote. In court filings, Wright’s attorneys also raised issues of arbitrariness and racial bias. Wright, who is Black, was convicted and sentenced to death for a drug-related double-homicide in 1985. According to his attorneys, capital cases in the 1980s were infected with racial bias, and Wright’s case exemplifies the arbitrariness of Tennessee’s death penalty. While Wright was sentenced to death, many other drug-related murders have resulted in life sentences, even when there were more than two victims. A 2018 study of Tennessee's death-penalty system called it “a cruel lottery” and found that the best indicators of whether a case would result in a death sentence were arbitrary factors such as where the murder occurred, the race of the defendant, the quality of the defense, and the views of the prosecutors and judges assigned to the case. Texas plans to execute Joseph Garcia on December 4, 2018, for the murder of a police officer during a robbery in which Garcia neither killed anyone nor intended or expected that a killing would take place. His case renews questions about a Texas law called the “law of parties” that allows defendants to be sentenced to death based upon the actions and intent of others, if the defendant played even a small role in a crime that resulted in someone’s death. Garcia was one of the “Texas 7,” a group of men who escaped from a maximum-security Texas prison on December 13, 2000. After escaping, the men robbed a sporting goods store, where some of the men were confronted by police officer Aubrey Hawkins. Garcia graphically described the robbery in a radio interview with David Martin Davies for the Texas Public Radio program, Texas Matters. Garcia admitted to participating in the escape and the robbery but insisted he never fired his gun and was still inside the store when he heard gunfire break out. He tried to stop the shooting, and during the confusion in which Officer Hawkins was killed, Garcia himself came under fire by others in the group. “I don't know what caused them to start firing at the officer. By the time I got out there on the back dock, it was over,” he said. Texas Rep. Harold Dutton (D – Houston) has filed legislation to end the law of parties. “We shouldn’t use the law of parties to convict anybody of capital murder,” he said. “I think we ought to reserve that for the person who actually did the murder.” Garcia’s lawyers have challenged the constitutionality of executing a person who neither killed nor intended that a killing take place. Texas prosecutors have argued that the Supreme Court should not hear the issue because Garcia’s prior lawyers should have raised the issue years ago. Three of the Texas 7 have already been executed, and a fourth killed himself to avoid capture. Twenty months after the Unites States Supreme Court unanimously struck down Texas’s non-scientific standard for evaluating intellectual disability in death penalty cases, the landmark case in which it made that decision is back before the Court. On December 7, 2018, the Court will conference Moore v. Texas, to decide if it will review whether the Texas Court of Criminal Appeals (CCA) once again unconstitutionally relied on lay stereotypes and non-clinical criteria in rejecting Bobby James Moore’s claim that he is not subject to the death penalty because he is intellectually disabled. A diverse group of prominent voices, including the district attorney’s office that originally prosecuted Moore, argue that Moore clearly satisfies the clinical definitions of intellectual disability and may not be executed. 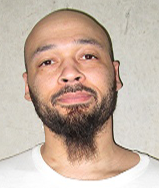 Moore initially presented his claim that he is intellectually disabled and therefore ineligible for the death penalty under the 2002 U.S. Supreme Court ruling Atkins v. Virginia to a Harris County, Texas trial court. Following contemporary medical diagnostic criteria, the court agreed that Moore was intellectual disabled and ruled that his death sentence should be vacated. However, the Texas Court of Criminal Appeals reversed, applying an idiosyncratic standard based on unscientific stereotypes, including the behavior of a fictional character from the novel Of Mice and Men. After the U.S. Supreme Court reversed and remanded for a new decision “informed by the medical community’s diagnostic framework,” the Harris County District Attorney’s office conceded that Moore qualified as intellectually disabled. Nonetheless, in a ruling three dissenters criticized as an “outlier,” a sharply divided (5-3) Texas Court of Criminal Appeals in June 2018 again upheld Moore’s death sentence.